SmartTalk is an innovative communication system that provides crystal clear audio and video communication between drivers and inside personnel using VOIP technology. The unique noise cancellation device filters out truck background noise so both parties can hear each other loud and clear. 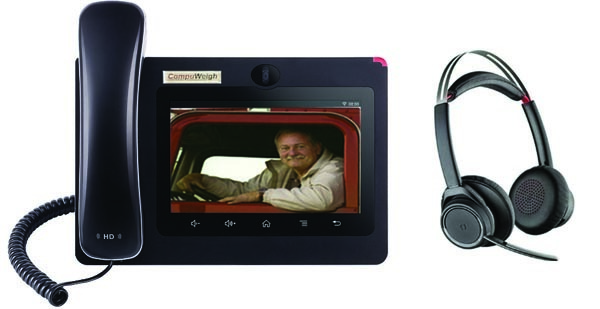 SmartTalk also includes a mini-web camera, which provides live streaming video of the driver for increased security. Whether you need to communicate with drivers or extend communication with staff in and around your facility, SmartTalk provides a rugged communication system that will not only increase truck productivity by keeping drivers in their trucks, it will also improve security. VOIP technology keeps installation expenses low by allowing you to use your existing network instead of costly home-run wiring. The solution for better communication with drivers!